Once a meagerly populated hamlet in Bangalore South, Attibele has grown to be one of the popular housing destinations in the city backed by infrastructure development, competitive property prices, proximity to the IT hub of Electronic City and the foray of several reputed real estate developers. The increasing demand-supply disequilibrium in the prime housing destinations of Bangalore has shifted the focus of many real estate developers to newer pockets of the city such as Abbigere (North), Jigani (South East) and Seegehalli (East). However, Attibele in the South remains the most sought-after locations among all. The area is not only replete with a host of moderately priced residential opportunities but also a deluge of facilities and commercial centres. Let’s take a look into Attibele’s real estate growth over the years. The rental market has also benefitted on account of its proximity to Electronic City (14.1 km), Hosur IT Park (13 km), JP IT Park (15.8 km) and Harita IT Park (16.9 km). The Azim Premji University (17 km), too, has fueled demand from the student community in the region. Novices who have made new to the city prefer Attibele owing to its relatively lower rentals, smooth connectivity to the rest of the city and ample accommodation facilities in 1, 2 and 3 BHK units. However, it is important to note that while the peripheral location of Attibele ensures lower average monthly rentals, the security deposits procured by landlords are hefty. On an average, a tenant needs to pay 8-9 months of rent as security deposit in Bangalore. In fact, across metros, Bangalore homeowners demand the highest rent deposits. A few years ago, the micro-market that comprised only a few holiday resorts and roadside eateries is now self-sufficient with hotels, restaurants, grocery shops and commercial complexes. Educational institutes, hospitals, parks, shopping malls, temples and banks are also a dime a dozen. Some of them include St Dominic’s School, Attibele Public School, KLS International School, NR Hospital, Canara Bank, D-Mart, Indian Oil Petrol Pump, Biotech Park, Chandapura Market, SRT Mall, Neo Mall, BTL Institute of Technology and Management and the famous, and Sri Prasanna Nanjundeshwara Temple, which is 1,000 years old. The area also boasts of hassle-free connectivity to Electronic City, Silk Board Junction and Hosur Road. The distance from Attibele to Hosur is only 9 km. 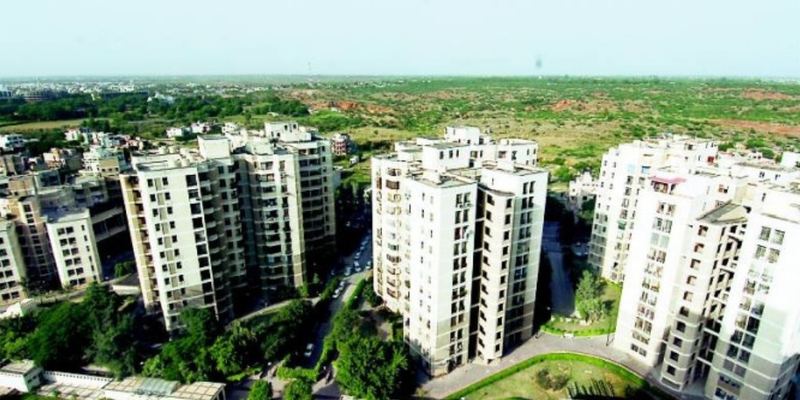 The area is also well-connected to Chandapur, Sarjapur and NICE Road via Electronic City. Additionally, Attibele also lies in the vicinity to the Heelalige Railway Station, which is at a distance of at 8 km. The Kempegowda International Airport is situated almost 47 km away. Attibele rose to fame only after the development of Electronic City. The need of having competitively priced accommodation in proximity to the IT hub, coupled with the availability of large tracts of land at lower values, filliped the area’s profile and paved the way for high-rise gated enclaves and villas. In the last five years, the area’s popularity has grown so much so that the average weighted capital ‘asks’ have increased by 60 percent from Rs 2,000 per sq ft in Oct-Dec 2013 to Rs 3,200 per sq ft in Oct-Dec 2018 . Although end-users dominate the market, investors also seem to gravitate towards Attibele. Relative growth in enquiries and conversions in Jan-Mar 2019 vis-à-vis Oct-Dec 2018 reflect the changing mindsets of the investor class, and if the trend continues so, the overall realty market of Attibele is expected to witness close to 20-30 percent price appreciation in the forthcoming years.